Fortunes reviving for gambling giant. THE crackdown on corruption by Beijing cost Macau dear, with tumbling revenues in its casinos for months on end. 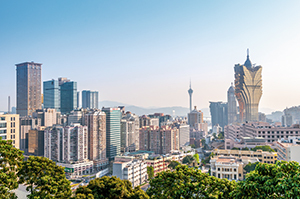 The bottom has now been hit and Macau is on the rise again, buoyed by some prestigious new openings with more to follow soon.